The candy selection is running low on the seasonal decorations so I went over to the Korean grocery store in Tappan for refills. 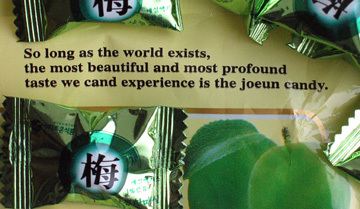 How could I resist these plum candies given their description? They are as delicious as advertised!